Jon Richard started his position as the Director of Manufacturing in September 2016. He brings innovation and leadership acquired by 20 years of production and process engineering for a large corporate manufacturer. 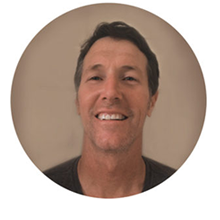 His extensive knowledge of surfing and surfboard construction, along with his expertise in manufacturing, assist him in the production of Smartfin products. Jon is an avid surfer who has a passion for the ocean and its beauty.